HKSAR Film No Top 10 Box Office: [2016.05.27] SEAN LAU CLAIMS TO BE "STEVEN MA"? 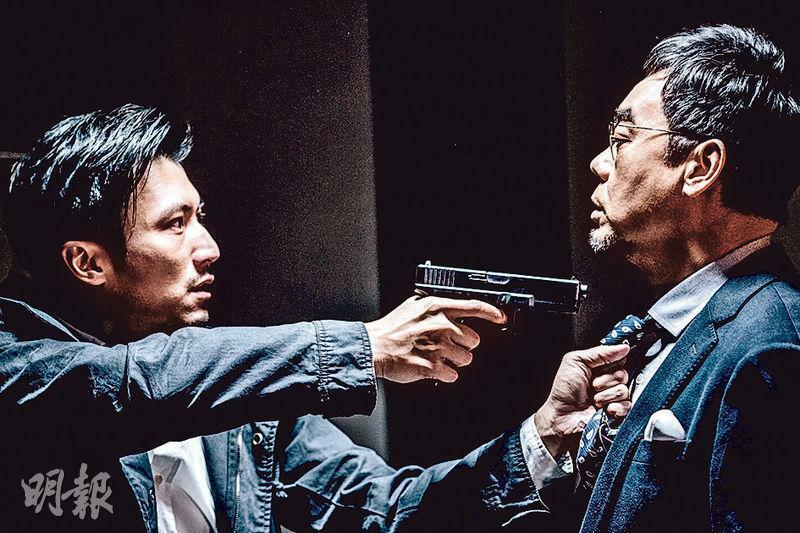 After THE BULLET VANISHES (SIU SUT DIK JI DAN), two Best Actors Nicholas Tse Ting Fung and Sean Lau Ching Wan reunited for the film HEARTFALL ARISES (GAING SUM POR). The film will be released in August. The two lead actors will even attend the Shanghai International Film Festival in Juen with the team to promote the film. Aside from the two leads, Mainland actress Tong Liya, Taiwan singer Mavis Fan will add the fray. The film was even shot on location in Shanghai, Guangzhou, Thailand and Hong Kong. The production spent almost 100 million to create a heart pounding crime film. Earlier the film released its latest production special, in which not only different scene productions were on display but also some of the production process. The most interesting was Lau Ching Wan during the shoot introduced himself by accident as "Ma Chun Wa" (his character name was Che Ka Wai, while Ting Fung's was Ma Chun), which cracked up the entire set. Ching Wan looked a little embarrassed and even ordered everyone not to spread it around.